Can I Run With Peroneal Tendonitis? Today on the Doc On The Run podcast we are going to talk about whether or not you should run with peroneal tendonitis. One of the million dollar questions I get from runners is whether or not you can run when you have this specific injury. Just today I was on a remote consultation call on Skype with a runner who is an ultramarathoner. He is training for a huge trail race in the Dolomites and he wants to be able to run. If you’re a doctor you probably think that’s the stupidest thing ever. You should not let a patient run with a peroneal tendonitis. We put them in a fracture walking boot from four to six weeks. But if you’re a runner, do you really want to sit in a fracture walking there for four to six weeks when you have a month and a half or so before your race? Probably not. I wouldn’t either. You don’t always have to do that. So the first thing I’ll tell you is that you can do anything you want. You just have to be willing to pay the consequences. You have to be reasonable about this. You have to think about what’s going on when you get an injury. You have to think about how are you can decrease the stress enough to that injured structure so you can actually run. 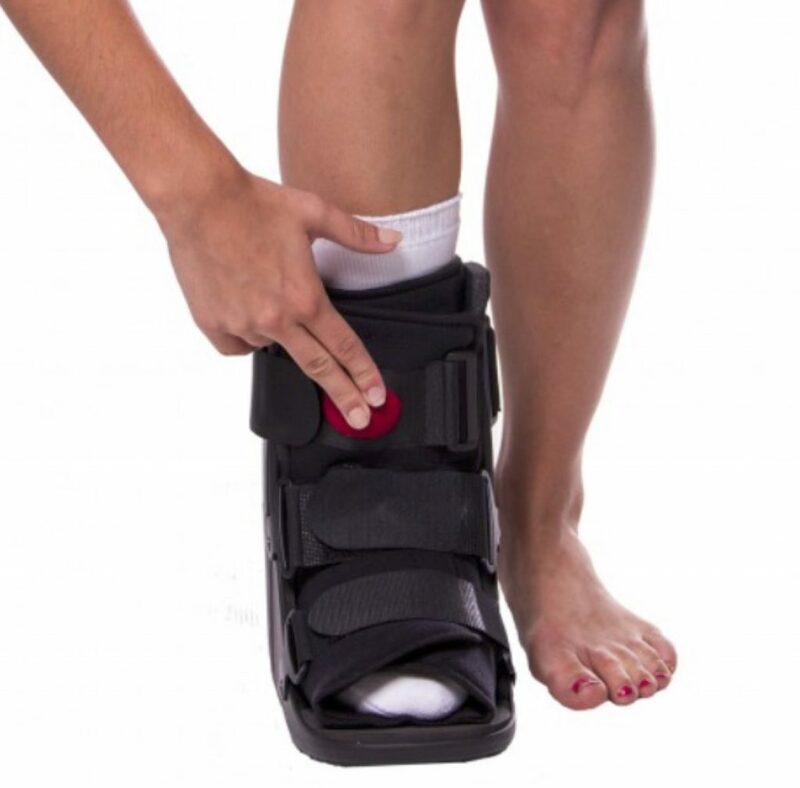 Now the normal thing when you get peroneal tendonitis is to let the tendons calm down by sitting around the fracture walking boot for a month or a month-and-a-half. So I wouldn’t do that. I had a circumstance where that happened to me is what happened in my case was I was basically training for an Ironman race and I had been using Newtons to run and I would race and I just had not use them in a while. Now Newtons, I have to get used to them because they’re relatively unstable but I will tell you that they have done a huge reduction. What I was doing is I was basically training for Ironman and I was planning on running my Newtons again but I actually not been running in the Newtons very frequently. So I figured I need to get used to these. So what did I do? Well I thought this is the sort of classic thing that runner’s do that screws themselves up. I thought well I am going to run with my friend Katie. She asked me to run, I thought maybe I will use them on Sunday. We talk all the time so I figured we will not be running that fast. So I sort of justified it. I knew at the top it was not a good idea to run in and choose that I was not used to do a long run. But I sort of justified it thinking we will run slow but then it turns out we did sixty miles of hills in relatively unstable shoes that I was not really prepared for and wasn’t strong enough for was a big mistake. Next day I woke up, I got out of bed. I had a huge bruise on the side of my foot and this is bad. This is not a good sign. That means something ripped, something tore, something broke, something split. Something’s wrong if you have a bruise that. It was just overused. I really injured something. Basically I injured my peroneal tendons. I of course knew what that meant. I was worried about this, I was looking at it I was thinking this is horrible. I am four weeks out from Ironman Florida. I’m screwed basically but I knew what it meant. I knew what I should do. I wasn’t just going to bail out of the race. But any doctor would have told me that you can’t do the race. You have to wear fracture walking boot for a month or month-and-a-half and then forget about the race altogether. I didn’t want to do that. So what did was I basically really iced it aggressively. I used compression socks round the clock. I slept in them and then I used a fracture walking boot for a day or two just to let it really calm down. I slept in the boot. I let it completely immobilized and just let it calm down for a couple of days. I got on a bike, I went for a short ride, no pain. Next day I went for a long bike ride, no pain. Then I went for short run, no pain. And turns out that that race which I ended up doing was my fastest Ironman ever. So it’s still my personal record in terms of my fastest Ironman and it was four weeks right after I had this injury which normally a doctor would’ve incarcerated me in a fracture walking boot all of that time. You don’t always have to do the normal thing but you have to think about what the problem is and see how you respond. So what I did was I reduced the inflammation, got the swelling out and then I was really careful about protecting it and doing some stuff to supplement my fitness. Granted I did ride a lot more than I normally would in those last few weeks and I ran a lot less than I normally would in those few weeks. But I did the race and I ran fast and the race was great. That’s the thing is you have to figure out what your real goal is. So if you have this sort of injury you have a flair for the peroneal tendons and your marathon eight months away, well it makes sense to take the time off to really get it to recover, just be prudent about it. You have plenty of time to ramp up later. So I think that’s a reasonable way to do it. Now if you have a race that’s just around the corner like a month away or two weeks away, three weeks away, you have to decide what you’re going to do. And the million dollar question when you have that sort of injury in that circumstance is you want to figure out should I just like really aggressively treat it now like with a cast or fracture walking boot or something just for a few days and see if it resolves really quickly. Should you just see if it’s inflammatory issue and that’s and what this guy did. He actually was really thinking about this so he took the right approach. What he did was he said he had been doing this contrast bath routine and he really got this rolling down quickly. And that is really important information. 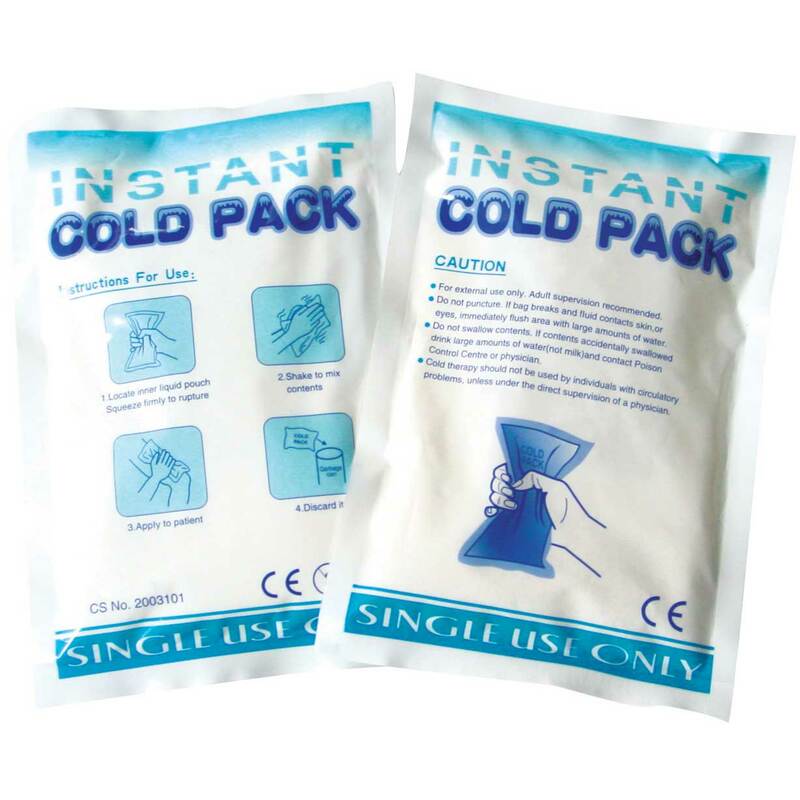 So if you do aggressive icing, you’re doing the contrast bath routine alternating hot and cold and you get a huge improvement right away. A lot of swelling goes away. That tells you that it’s not a stress fracture or something. It’s just something superficial like in the tendon sheath or in the soft tissue around the bones and it’s not the bones themselves. 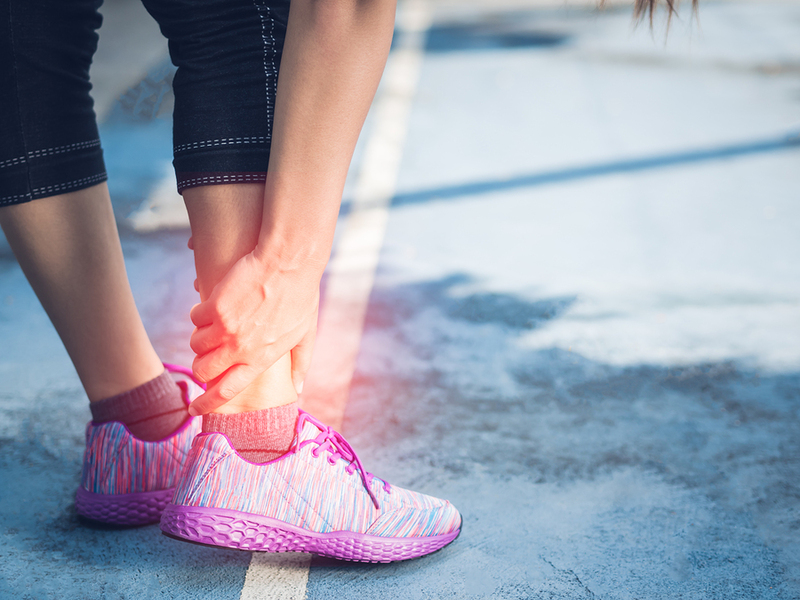 It’s unlikely you have a split in the tendon because if you really have a split in the tendon, it’s not going to go down. The swelling is not going to go down that quickly anyway. So that’s very good information to have because it tells your prognostic or sort of like what you can expect whether or not you could get this thing heal quickly or not. But that’s not really training right? So that’s not going to get you where you want to be. That’s not really going to get you back to your real race fitness. It’s not going to get you where you need to be. If you just took a couple of days are really aggressively rested it. You used fracture walking boot, you taped it, you did something to add a lot of stability, you really protected that ankle, you let the peroneal tendons calm down completely, then you’re probably going to be in a lot better position to then go actually do your race and enjoy it. the doctor’s idea of success. Most doctors will say skip the race, we’re going to put you in a fracture walking boot or a cast for four weeks or six weeks or whatever they think you need. And then your peoneal tendons are going to calm down, your pain is going to go away and that’s what they define a success. That’s not what I define a success. So with this guy a particular, I said “That’s not success”. Success is not missing the race and having no ankle pain. The success for you is actually going to run in the Dolomites and do your trail race and have a great time. That’s success. Anything short of that is failure in my mind. You have to figure out are you on track for that. Are you on track to get this thing to calm down fast enough and then do some other stuff to maintain your fitness while you’re ramping up for that particular race. If you do some core work at the gym. If you supplement your running fitness with some cycling. If you do some other things to help maintain your fitness to really supplement what you know is your running fitness with core work, or these other things, your hamstrings, your glutes. You work those things out at the gym and you do it in a way that’s safe and not really stressing the peroneal tendons then you should be able to do your race. If you’re ramping up and you’re not getting more and more pain. So you have to monitor it very quickly, that’s super important so you as an athlete have to pay attention to this. Your doctor is not going to really walk you through this process in most cases. I have talked about it all over the world who have these kind of problems. They are calling me because their doctors tell them to quit doing stuff. You don’t want to quit doing stuff. That’s the whole point. You want to do whatever’s going to work to get it to heal. But you have to realize it’s this big continuum. If you do no activity at all, you’re going to heal. If you define healing as making the pain go away in the peroneal tendons. But again that’s not the only goal. Your goal is to get that pain to go away so you can continue to run. So you just have to assess it is you go along and try to determine are you moving enough for the stress to let it heal. That’s really important. So when you think about that, if it’s a peroneal tendon and peroneal tendon help stabilize your foot and when you pronate and supinate the foot is least stable if it’s pointed down. It wobbles more. So the peroneal sort of hold your foot still as you are landing on uneven. Surfaces. So if you’re running down on steep rocky trail where your foot’s wobbling all over the place, that’s more stressful. If you’re running uphill you have some stress from the peroneal tendon but not as bad as when you’re flying downhill and you’re trying to stabilize hanging on your toes. But all of those uneven surfaces where the road slopes really bad, the trail slopes really bad, you land on roots or rocks or anything else and the peroneal tendons have to pull or hold your foot in that position and not roll your ankle, that’s where the stress comes in. Let’s say you had a plan on running four hours on Saturday and you did some stuff to really calm it down during the week. Your weekend rolls around and in your mind you’re thinking you really want to do this for hour trail run but it’s not good you. You know it’s too much. It’s just too much stress on the peroneal tendons. So what could you do? Well if you think about it, when you get on the most stress? When in the most risk? It’s not the first hour, it’s the fourth hour. It’s the last hour, it’s the last half. So if you were doing really well, you had no pain in the peroneal tendons and then you went for a trail run, what you did is you ran for like an hour on the really rough uneven stuff. When you’re fit and strong and you can maintain form and then after that you ran like maybe another hour on a flat dirt road or a road that’s really even unpredictable and it’s not going to put as much strain on the peroneal tendons and then you ran two hours on flat pavement. Well that’s really a way to add a lot of aerobic training, some trail specific training, some stability training and yet really not overstress the peroneal tendons. You can also think about in that respect if you’re improving, if your pain is going away, your goal is to rapidly just ramp up that activity said you can get to your race level fitness without overstressing that injured structure. That’s the key. The whole goal is to match that as closely as possible. Just think of it as training what you want to do. You want to work out as hard as you possibly can and then recover.